Should I Run Sage on Microsoft SQL Express? Have you been delaying your Sage 300 (Accpac) upgrade because of Microsoft SQL server licensing costs? Microsoft SQL Server is a database management system (DBMS) used to store data that powers various desktop, web, and server applications (like Sage 300). Microsoft offers a FREE version of SQL (SQL Server Express). Free? From Microsoft? Yes, free. And it’s legal. But is it right for you? In this article, we’ll take a close look at the benefits and limitations of running Sage 300 (Accpac) using SQL Server Express and if you should consider running Sage 300 on it. Most applications are developed to run on a specific database platform - Microsoft SQL Server (MS SQL) is a common choice for many mid-market Accounting and ERP systems. Earlier versions of Sage 300 allowed a choice between Pervasive SQL (PSQL), MS SQL and Oracle programs - but with the release of Version 2016, Sage 300 now runs exclusively on MS SQL. Additionally, some of the applications commonly integrated with Sage 300 also require MS SQL (examples include Sage CRM, Sage HRMS, Sage Fixed Assets). This requirement has forced some companies to choose between the cost of migrating to a supported database platform (SQL) in order to upgrade their accounting system, or continuing running an old version of Sage 300 without any of the benefits or features of the newest release. Companies that are discouraged by the cost of purchasing a new DBMS will be pleased to learn that Microsoft offers a free edition of the software called Microsoft SQL Express. As is the case with most “free” versions, there are some drawbacks. Below we review some of the benefits and limitations of the no-cost option to help you decide whether SQL Express is a good option for your organization - or if you’re be better off paying for additional features available in the Standard edition. The limitation related to backups is of substantial importance to warrant additional explanation. Regularly scheduled backups are a non-negotiable when it comes to best practice for keeping data secure. In the event of data loss or corruption, having access to a relatively recent (meaning less than 24 hours old) copy of your data will save the countless hours of frustration, lost productivity, and lost revenue that is virtually guaranteed when there is no backup available. The Standard edition of MS SQL allows automation of the logic that directs the program to create and store a backup of the current databases. While there are ways to backup data stored in SQL Express, they are not nearly as robust or reliable as the scripts permitted by the Standard edition. One solution that would allow your organization both to use SQL Express and maintain a high level of data security is an add-on product called SQLBackupFTP that Equation Technologies has recommended and installed for a number of clients. SQLBackupFTP creates MS SQL database backups, Zips, Encrypts and sends these backups to a folder, FTP, Dropbox, Box, Google Drive, MS SkyDrive or Amazon S3. It runs on a flexible schedule and will send e-mail confirmations to note job successes or failures. The utility also makes full, differential or transaction log backups, runs custom scripts, backs up file folders, and allows users to view the results in a browser on the web. 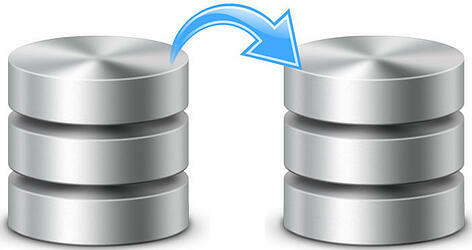 Finally, using script backup it can also backup remote or hosted databases. Affordable / Free: Comparable utilities can be found in software that is $200+. SQLBackupAndFTP allows you to use a free version (if you just need to schedule 1-2 databases), or upgrade to a Standard version for just $59 with unlimited SQL Server database backups. The professional version has an added AES encryption feature and FTP options for $69. Readers should note that SQLBackupFTP does not provide storage for the backups; it is simply the tool that drives the process. Secure storage is as important as the backups themselves, so if you are not sure where to save these critical files, a Dropbox account can be a good place to start and will ensure that the backups are stored separately from the original data in case of loss. Ultimately, the standard version of MS SQL will always add more value and security than SQL Express. Companies using Sage 300 can benefit from special pricing through Sage where Standard SQL CALs (the license allowing access to the standard version of MS SQL) are available at $175/user. Organizations migrating from a competitive platform like PSQL or Oracle qualify for even more affordable pricing at $75/user. If your organization has been holding off on upgrading to a newer version of Sage 300 (Accpac) due to the cost of migration, contact Equation Technologies to find out if SQL Express can work for you or to get a quote for standard licenses with Sage’s exclusive pricing. If you are currently using SQL Express and are not sure of the status of your database backups, click below to claim a free backup audit from Equation Technologies to ensure that you are protected in the event of corruption or loss.